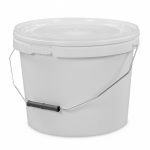 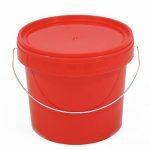 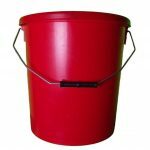 Bright yellow 25 litre plastic bucket with a standard plastic lid and a metal handle. 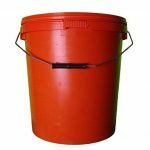 These are good sturdy plastic container suitable for a wide variety of purposes. 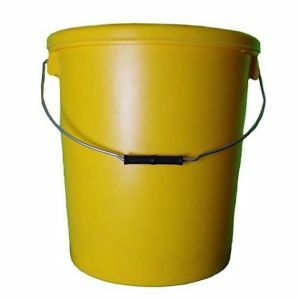 Striking yellow colour sets this container apart from other buckets, perfect for sorting sensitive items.